Actions by government have an impact on your business. That’s why the mission of the Hawai‘i Lodging & Tourism Association is to “provide education, advocacy, and philanthropy to the hospitality industry,” with an emphasis on serving as an effective advocate for our members with the federal, state, and county governments and providing educational opportunities, timely information, and appropriate resources to legislators, public officials, the news media, and community. Getting Involved at the Hawaii State Legislature. We achieve our goals by speaking as a united voice, working with government and community leaders on common goals, and through the HotelPAC, our non-profit, bi-partisan political action committee that helps elect qualified individuals who recognize the importance of the hotel industry. ​General Election evening was a night filled with anticipation, excitement, and tears of joy. I was at my usual post: commentating on the election’s results with Mike Buck on AM690/FM 94.3, a tradition that we’ve maintained for many years now. Jared and I eventually made our way down to the west side of Oahu to visit a couple of our HLTA-endorsed candidates who are now newly-elected officials to the Hawai‘i State Legislature. ​Hats off and congratulations to Governor David Ige and his running mate Lieutenant Governor-elect Josh Green for their triumph last night, as well as to newly elected Maui Mayor-elect Mike Victorino and Kaua‘i Mayor-elect Derek Kawakami. ​In the Hawai‘i State Senate all 6 of our endorsed candidates won: Sen. Kaialii Kahele (District 1), Councilmember Dru Kanuha (District 2), Sharon Moriwaki (District 12), Sen. Clarence Nishihara (District 17), Sen. Michelle Kidani (District 18), and Kurt Fevella (District 19). These individuals will be joined at the State Capitol by 13 of our 14 endorsed candidates in the State House: Rep. Christopher Todd (District 2), Rep. Richard Onishi (District 3), David Tarnas (District 7), Rep. Lynn DeCoite (District13), Rep. Gene Ward (District 17), Rep. Calvin Say (District 20), Rep. Tom Brower (District 22), Rep. Takashi Ohno (District 27), Rep. Romy Cachola (District 30), Val Okimoto (District36), Rep. Ryan Yamane (District37), Rep. Bob McDermott (District 40), and Rep. Cynthia Thielen (District 50). ​On Kaua‘i, 6 of our 7 endorsed candidates will be joining mayoral winner Derek Kawakami in leading Kaua‘i’s County Government. Congratulations to incumbents Councilmember Mason Chock, Councilmember Arryl Kaneshiro, Councilmember Ross Kagawa, and Councilmember Arthur Brun, who will be joined by newcomers Luke Evslin and Felicia Cowden in serving on the Kaua‘i County Council. ​In Mililani, newcomer Val Okimoto won the District 36 seat over former State Representative Marilyn Lee by over 800 votes! In an interview on election night, she credited the Hawai‘i Lodging & Tourism Association for being the only organization that endorsed her in her inaugural campaign. Born on the island of Kaua‘i, the former special education teacher and highly active community leader is very familiar with the important role that tourism plays in our state’s economy. ​The Hawaii Lodging & Tourism Association's mission is to provide advocacy and education to the hospitality industry. On behalf of the association we track bills at the state legislature which affects the hospitality industry. Use the link below to access our tracker and see the bills that we are following during the 2017 session. 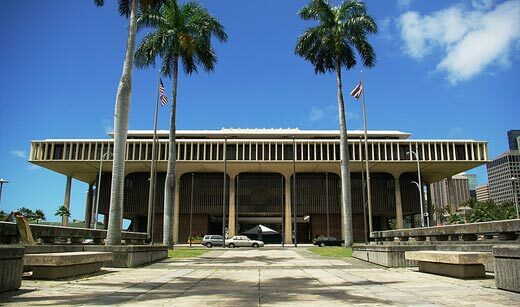 For more information on the Hawaii State Legislature and County Councils, refer to the links below.